There are 2 desktop wallpapers listed below. The files are sorted by number of votes, beginning with the most popular content. You can vote for wallpapers by adding them to your Favorites list. 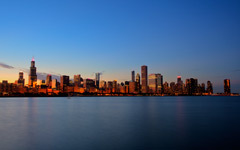 The magnificent Chicago skyline as seen from Northerly Island. Taken during Chicago Ideas Week. Canon EOS 5D Mark II, Canon EF 17-40mm f/4L USM. A short 30-minute drive east of Portland, Oregon the Columbia River Gorge is one of the most beautiful places in all of the United States if not the world. 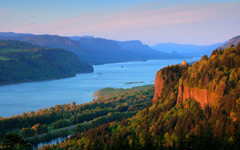 A perfect capture from the Portland Women's Forum State Scenic Viewpoint looking towards the Crown Point Vista House along the Columbia River Highway. Canon EOS 5D Mark II, Canon EF 70-200mm f/4L USM, Adobe Lightroom 4.